Since 2002, the U.S. has spent $100 billion on nonmilitary aid in Afghanistan, a country considered by many analysts to be the most corrupt nation on earth. Despite the massive amount of aid, Afghan state institutions remain fragile and ineffectual, they do not provide good governance, deliver basic services or provide security. The country ranks near the bottom for GDP per capita income, life expectancy and electricity usage. Although more roads and schools have been built, the Taliban destroys around 100 schools per year. With a population of approximately 30 million, Afghanistan has an unemployment rate of 35%, it is the world’s largest producer of opium. Because Afghan government services are mostly imperceptible in the countryside, Afghanistan is becoming a defining study on how not to give aid. A sizeable part of the aid appears to have been wasted or siphoned off. Planning is said to be poor. The dangerous security situation makes contract oversight difficult allowing cunning contractors and their benefactors to take advantage of the chancy situation. 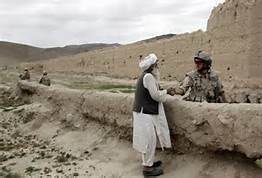 Although the U.S. has spent an additional $51 billion to train the Afghan military since 2002, the local military and police forces are still having difficulty operating on their own. The literacy rate in the Afghan military is around 14%. This impediment makes it tough to perform tasks such as maintaining equipment, reading maps, providing logistics, communications, medical and intelligence support. It is also becoming increasingly difficult to figure out the motives of Afghan President Hamid Karzai. His incendiary remarks directed toward the U.S. plus the obstacles he has placed in the way of the Bilateral Security Agreement (BSA) have clouded planning for the U.S. combat force withdrawal due to be completed by the end of the year. If signed, the stalled BSA will determine how many American and NATO troops will remain after 2014, somewhere between 5,000 and 15,000. President Karzai has been variously described as a committed nationalist, a shrewd negotiator and man on the way to becoming paranoid. It is uncertain if he understands the dire consequences for Afghanistan if he prompts a total American troop withdrawal. Karzai may not be aware of how his behavior is having a negative impact on a Washington administration growing weary of its unappreciated commitment to Afghanistan. If President Karzai miscalculates, he may wait too long to sign the BSA thus forfeiting much needed foreign support. President Karzai’s view of the world includes a fondness for conspiracy theories that blame the country’s problems on outside forces, not internal Afghan feuding and incompetence. Barred by the Afghan constitution from seeking another term as president, Karzai seems determined to remain influential and relevant. He does not want the coming April election result to threaten his assets or those of his family. Karzai is also concerned about his legacy, he does not want to be remembered as America’s flunky. Some of his actions appear designed to demonstrate his independence from foreign influence. There is another possibility. Karzai may want the U.S. to get out of Afghanistan. 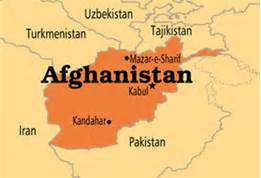 He may think that Afghanistan has alternatives to its dependence on American military support. With all foreign troops gone, he could try to obtain military aid from Iran, India, China or Saudi Arabia. Getting rid of U.S. meddling in Afghan affairs might be seen as a victory, one that would improve chances of negotiating peace with the Taliban and other insurgent groups. It would prove that besides sucking in vast amounts of foreign aid that Afghans can resolve their internal political differences. If Karzai can get Pakistan to pressure some of insurgent groups to cut a deal, he might be able to get a peace accord. To pull it off, Karzai has to convince Pakistan that its interests will be protected. The murky situation makes the NATO and American troop withdrawal harder while placing Afghanistan’s future in doubt. With the foreign troops gone, there may be another problem. The international donor community which also includes the European Union, Japan and other countries may decide to cut back economic assistance. That would leave the reworking of the country’s distorted wartime economy up in the air. President Karzai’s ongoing miscalculations might be setting the stage for another round of disintegration in Afghanistan. The last time that happened, the Taliban came to power. Next articleJim Brown to run for Congress – THE Jim Brown?